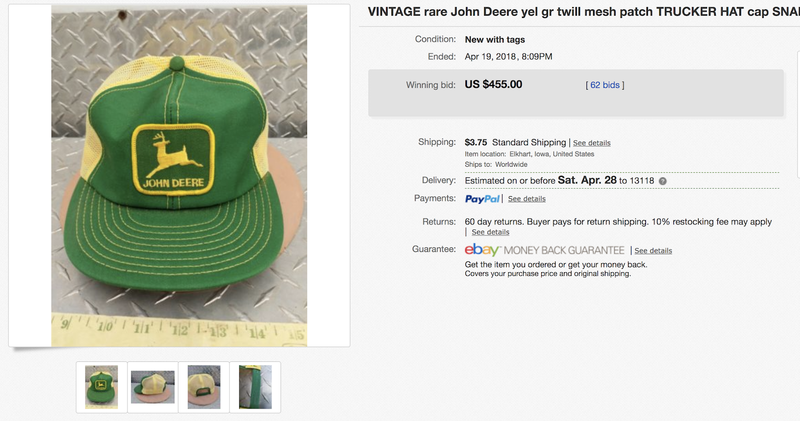 The Deliberate Agrarian 2.0: Snap-Back Farm Hats From The 70s And 80s Are Worth Big Money! The screen shot above shows a common John Deere hat from the 1980s that recently sold on Ebay for a whopping $880. You'll notice that one sold for only $455. I think he got it free when he bought a JD lawnmower. 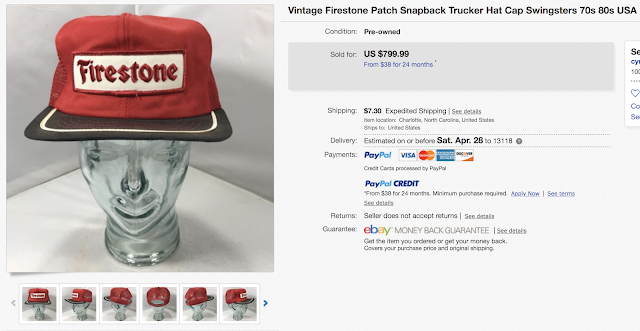 Who spends eight hundred bucks for a cheap old hat like that? I don't get it. But I sure do wish I had a few of them to sell! 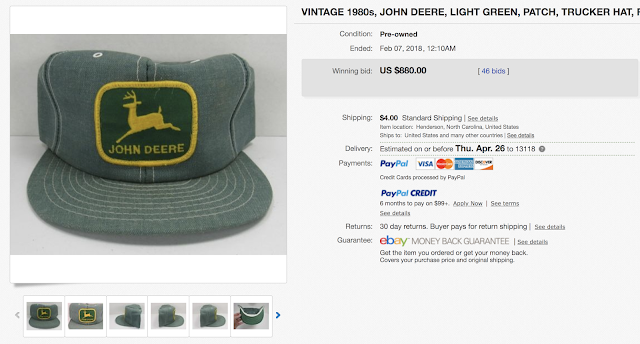 Just imagine... if we who lived back in the 1970s and 1980s had known those old hats would one day be worth so much money today... well, just imagine. I wonder what is commonly available and inexpensive today that will be worth BIG MONEY thirty years from now? I'll be 90 in 30 years. I might make it that far. Any suggestions? Elizabeth L. Johnson said, I thought I was done with garage-saling. Maybe I should attend them more and finally chalk up some retirement by selling curios. Probably can skip the jackets. I wear a Dekalb jacket like this in the spring. It is over 30 years old. Had one like this.. Still not worth much...I would think you would have to build a much bigger addition on your house if that is your retirement plan. It all seems kind of hit or miss. I really reckon old pianos will be extremely valuable one day. I regularly see 100+ year old iron-framed upright pianos being given away, and often even ending up at the dump. They're beautiful, but nobody has the space for them anymore (despite larger-than-ever houses! ), and nobody wants to spend the money to restore or even tune them. If only I had a spare warehouse or two to fill up with them :-). Elizabeth L. Johnson said, Wow, Tim! If I could click "like" on your comment. 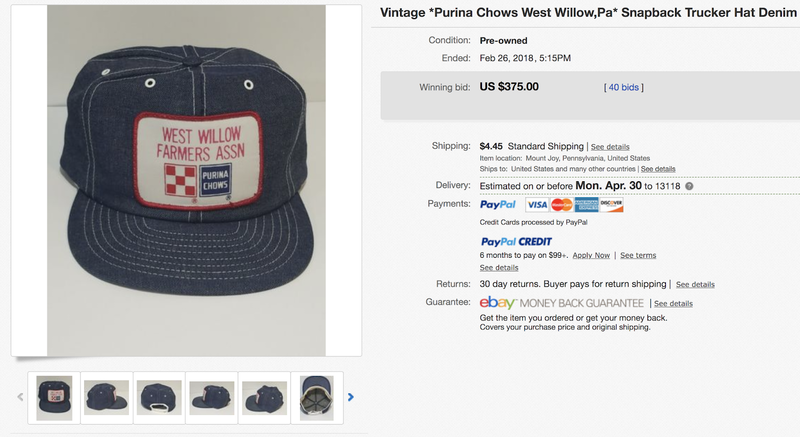 . .
Who spends $800 bucks for a cheap old hat..... hipsters living a lifestyle on way too much borrowed money way too easily lended for one. The addiction to excess in our country is disturbing. You've been MIA for a few weeks now, and I wonder if you have switched gears and decided on a different path. I'd hate to think you are out scouring your neck of the woods for old trucker's hats. Let us know. I'm definitely on the lookout for old trucker hats these days. 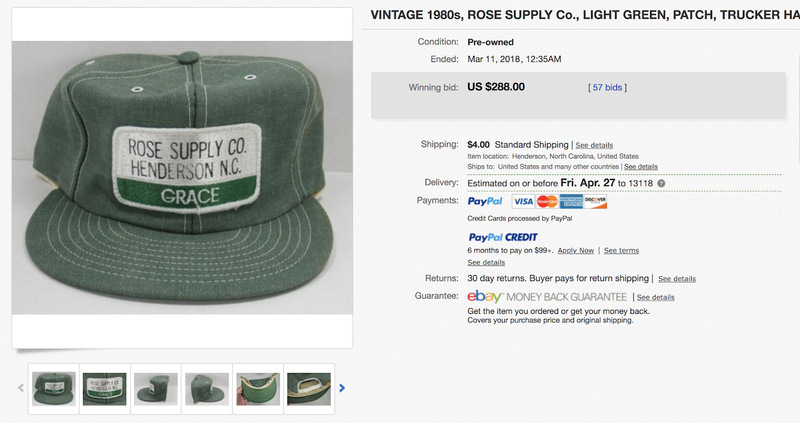 My son recently sourced a vintage FORD hat and sold it on EBAY for $250. True story. Do you want buy unique snapbacks? then The Unique Clothing is one of the best choices you can have. The store offers a huge collection of hats & snapbacks atreasonable rates.